Alvin Reed writes to any who freak out about witnessing no matter where you are in your Christian journey. The book is accessible enough that either the new Christian or the Christian who has served the Lord for a long time can find help with witnessing. Mr. Reed has already written the more formal and comprehensive Evangelism Handbook, available from the same publisher, but the two books make separate, distinct contributions. There’s no salesmanship, nor prepackaged presentation here. Ultimately, this book wants to make us more thoughtful conversationalists. We just need Jesus to be part of all of our conversations. There’s a brief introduction that even talks about how to read this book. Chapter 1 makes the initial case that we are to spread the Word but we need not overcomplicate it as so much of our training has led to. He disdains the idea of “Marvel superhero version of soul winning” and confesses that many of us feel awkward in approaching people and talking. His goal is to make witnessing easier and more natural. In the next chapter, he chips away at the idea that God is mad at all of us for our witnessing efforts. No doubt, we are to witness, but He is not holding us responsible for results as we have been told, nor does He miss the fact that He made us with different talents and abilities. Chapter 3 advances the idea that we think in terms of conversations and not presentations. Chapter 4 reminds us that we have an important part, but that the power is the Lord’s. Chapter 5 is a practical look at conversation starters and signposts in conversations. Chapter 6 reminds us to care, listen, and even expect people to be open to the gospel. Chapter 7 explains that we are to talk but we are to remember the level of acquaintance dictates the level of concern that must be evident. Chapter 8 reminds us that it’s more important to make friends that we can talk to than scheduling official visits. You will notice as you go through all of these chapters that the author has made eight simple principles to help us with witnessing. They are stated throughout the chapters and then they are listed together at the end of the book. There’s an added eight-week challenge at the end of the book that makes it possible for groups to work through this material. 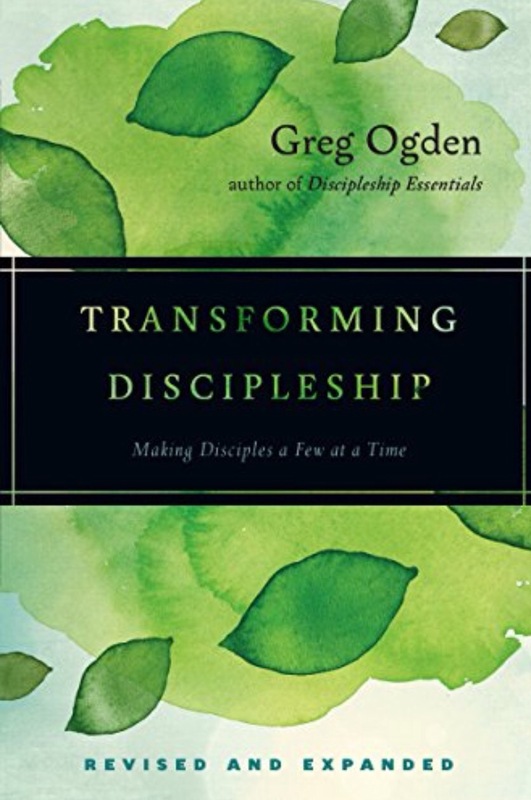 This book isn’t earth-shattering but could be quite helpful to us in our witnessing if we would just calm down and think about what this author is telling us about a caring, conversational manner of witnessing. This book is worth checking out! This attractive hardback is a resource to put in the hands of visitors to your church. Thom Rainer, who has provided so many church resources, wrote this book. Since guests have such a wide variety of backgrounds, it took a lot of skill to pitch this book at a level that could catch the attention of many. It seems to me that Rainer pulled it off. The first chapter gives five good reasons that the visitor is wanted at your church. Chapter 2 is one that not so much lowers expectations as it changes expectations. Gone is the idea that the church is a place of perfect people, yet there remains the high expectation that we as broken people will be loving to the broken people who visit us. Chapter 3 advertises the beauty of relationship. Chapter 4 talks about strengthening families in the context of the variety of family situations. Chapter 5 introduces God and is gently evangelistic. Chapter 6 encourages coming and being part of it while the last chapter thanks them for coming. The chapters are short and easy to read without sacrificing what needs communicating. It’s classic Rainer. As a pastor, I’d be happy to put this attractive resource in visitor’s hands. This book is profound on many levels. For me personally, I can’t remember when I last read a book that made me feel like I didn’t know a thing about the subject before I read it as was the case here. It’s not that I hadn’t traveled or been in mission work in other cultures, but that I didn’t know specifically why those other cultures even seemed to think differently than my own. My culture, as is so well described in this volume, is based on guilt whereas many other cultures think more with an honor-shame mindset. Even more surprising, my Western culture is by far in the minority in our world. The authors, Jayson Georges and Mark Baker, are well qualified to write on this subject and I particularly appreciated how they shared their own trial and error while serving in other parts of the world to gain some of their knowledge the hard way. 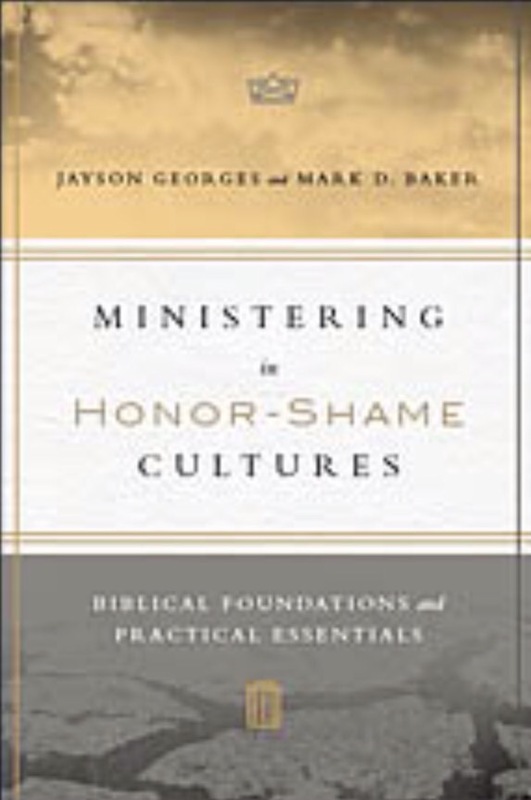 Though they tackled three distinct areas–deep analysis of what the honor-shame culture is, a careful explanation of how it fits in with biblical theology, and how to take this understanding and practically minister to those who view the world through an honor-shame lens–they amazingly prove themselves adept in all three disciplines. In the first area they really helped you get into the mind of someone who thinks in terms of honor-shame and see why it makes as much sense to them as our more legal outlook does to us. In the second, while there is a forgiveness/legal/guilt outlook in Scripture, there is clear honor/shame outlooks as well. We may have been overlooking key theology here. Finally, the practical side is amazing. The chapter on evangelism is worth the price of the whole book. This book should be required reading for every missionary or persons working with different cultures. It might make the difference in effectiveness more than you realize. For that matter, every Christian should read it both for its theology and ministry training. This book is home run all the way!